Hybrid… A stroller without compromise is being launched at South Africa’s Biggest and Best Baby and Parenting Expo, Mama Magic in Johannesburg from 1st to 4th December 2016. Hybrid from Babystyle is Stroller like never before – it’s clever, lightweight and modular. 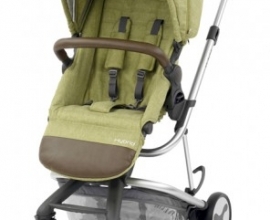 Hybrid is available in single or tandem and is Carry Cot and Car Seat compatible. Simply convert from single to tandem or city stroller by swapping the rear axle. Urban city mode rear wheels measure only 55cms. Inventive one pull harness system. Available in 7 stylish colours and compatible with a range of leading car seats. 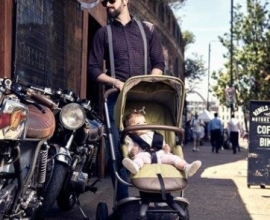 The Hybrid is the biggest launch for the babystyle brand and follows hot of the heels of the Egg. Tandems have proven to be very popular choices of pushchair for growing families but have in the past had their drawbacks, particularly when it comes to space when full. Babystyle believe their have overcome the challenges with the sophisticated and stylish Hybrid stroller thanks to an ingenious chassis system that sets this pushchair apart from others on the market. And of course in true Babystyle style the Hybrid is available is an extensive range of striking colours making this one of the most trendy pushchairs on the market today.